Sciatica is commonly used to describe pain traveling down the back or side of the leg. Sciatica is not a diagnosis, it is a term used to describe irritation to the sciatic nerve, the cause of this irritation in about 90% of cases is due to intervertebral disc damage (1). It is important to realise that there are other causes of pain traveling down the leg not just sciatica, so getting a correct diagnosis is helpful so that you know what to expect and how best to recover. 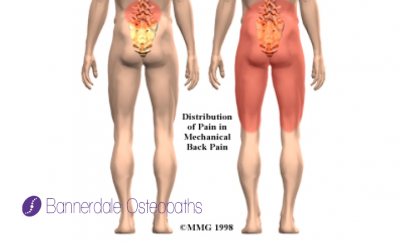 Pain in the buttock or leg usually one side. Numbness, pins and needles, burning pain and weakness. Often with low back pain. Aggravated by coughing, sneezing or straining on the toilet. Changes in bowel or bladder function namely incontinence and numbness between the legs in the saddle area, this could be a serious sign of cauda equina with permanent consequences so seek professional advice ASAP. Be aware not all of these symptoms need to be present nor does the presence mean the symptoms are sciatica and not another cause of leg pain. 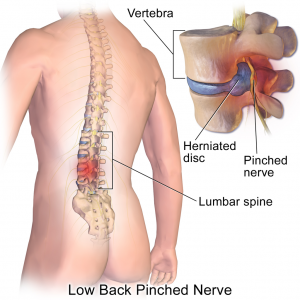 Symptoms of sciatica are in 90% of cases caused by damage to the intervertebral discs (1), either herniation (slipped disc) this is where a bulge in the disc pushes on the nerve as it leaves the spinal column or degenerative disc disease where age-related wear and tear in the disc leads to an irritation of the nerve. Other causes may include slipping of one vertebra on the one below (spondylolisthesis) or narrowing of the spinal canal (spinal stenosis) but these are much more rare. There are many causes of low back and leg pain, most are not as serious as damage to the discs pressing on a spinal nerve. Getting a correct diagnosis can give you much more insight about what to expect and the right sort of exercises to do and avoid. 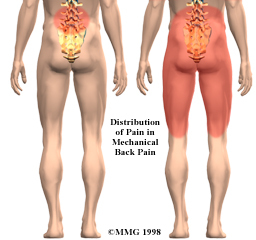 Mechanical low back pain without nerve root irritation can cause pain in the leg, this is usually much shorter lasting than sciatica and managed in a different way than a disc injury. Pain can refer into the legs from problems with the hip and surrounding muscles, this is usually down the inner and/or outer thigh and sometimes in the knee. 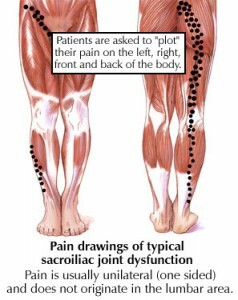 The sacroiliac joint will often cause problems that are felt in the low back and can travel into the leg much like sciatica. Piriformis syndrome is when a muscle in the buttock traps the sciatic nerve, this can cause symptoms similar to a disc injury but if the muscle is released the pain will subside very quickly. A hamstring injury can also cause pain in the back of the leg that can be sharp in nature and result in weakness in the leg, which could be confused for sciatica. Illio-tibial band (ITB) syndrome can cause sharp pain down the outside of the leg and sometimes into the knee. The cause of sciatica is most commonly diagnosed by a detailed case history and physical examination. 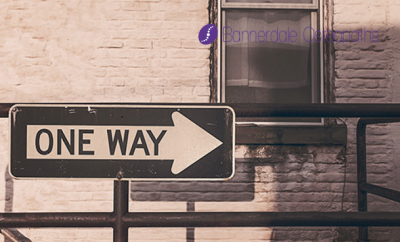 The osteopath or other healthcare professional will ask lots of questions about how the pain effects you, when the pain effects you and where it travels. By asking these questions your osteopath is forming ideas about what might be the cause of your symptoms, these are called differential diagnoses. The next stage is to test the different diagnoses to see which one is the most likely. Tests such as a straight leg raise, muscle strength, skin sensation and reflexes are often used but imaging is rarely needed. 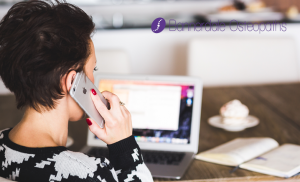 The sensation to your skin is supplied by many nerves which can be mapped and your osteopath will know which nerve supplies each bit of the body, these are called dermatomes. The same is true for which nerves supply all the muscles in the body which are referred to as myotomes. By performing these tests and many others the osteopath can work out if the pain is coming from a nerve irritation in the back or another cause. An x-ray of the back is of little use with symptoms of sciatica as it only shows the bones and the spaces between them not the soft tissues such as the discs and nerves. An MRI will show much more but is rarely required and will only usually be considered if a surgical opinion is required due to unstable or worsening neurological symptoms. The most important thing is that you stay active and keep the back gently moving. 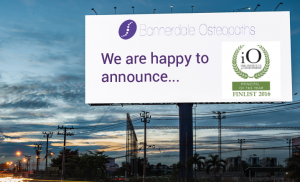 Your osteopath will help you by formulating a management plan that aims to help you recover as quickly as possible. This will include advice on exercises you can do to gently stretch and strengthen muscles in the low back. They will also look at how you move and see what they can do to improve this, the aim of the treatments is to reduce pain and make sure your body is in the best state it can be for a quick recovery from your pain and guidance on preventing it reoccurring. Your GP may be able to assist by prescribing anti-inflammatory and pain killing medication and in some instances muscle relaxants and neuropathic medication if the leg pain is greatly effecting your life. (2) Blausen.com staff. “Blausen gallery 2014“. Wikiversity Journal of Medicine.DOI:10.15347/wjm/2014.010. ISSN 20018762.